We are a CrossFit gym owned by true lovers of CrossFit! We are passionate about helping others stay healthy and safe while having fun and getting fit. Our facility is climate controlled and we have full locker rooms with showers for our members' use. Click here to schedule a No Sweat Intro. We also offer a Foundations class for those new to CrossFit. Kimberly came to CrossFit after her friend told her to try out a new "bootcamp style" workout. Since she had just started losing weight and was doing pretty well at her work bootcamp class, she figured it would be a piece of cake. Boy, was she wrong. That was in 2009 and she hasn't looked back since. Kimberly began coaching in 2012 and wanted to not only help people, but make sure they were having fun at the same time. And that continues now. She keeps the energy levels up and loves bringing smiles to people's faces. She continues to want to learn and try new things. Her favorite people to coach are those with limitations, because it forces her to be creative and make sure they get the same experience as everyone else. 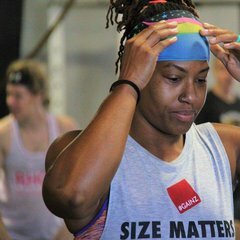 She really loves the CrossFit community and all of the people she has met because of it. "I'm not who I was 10 years ago. It literally changed my life." Brea started after a good friend, who also happened to be her basketball coach from high school, suggested it for about five years and she finally gave in! 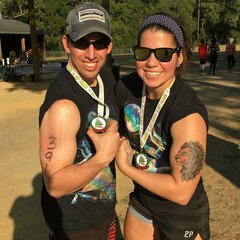 Before CrossFit, she played basketball for around 10 years and coached for a while, ran half marathons, and had interest in figure competitions. She liked all of it, but something was always missing. Then she found CrossFit, and the constant challenge and variance has always pushed her and she has never, for a moment, been bored. Brea loves coaching because she truly believes fitness and competition can change who you are for the better and teach you resilience and discipline, which a lot of people are lacking. She's also worked in the medical field and seen hundreds of patients who would be in a way better position right now, had they invested more in nutrition and athletics. Everyday, she goes in to coach, hoping that her excitement and passion for fitness can rub off on one of her athletes and they can change their lives! 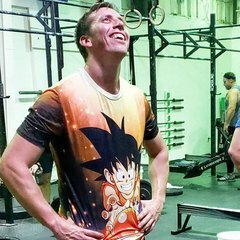 Kyle has been involved in CrossFit since 2014. After a trial membership he was hooked. Kyle played baseball in college and has been involved in competitive athletics for most of his life. 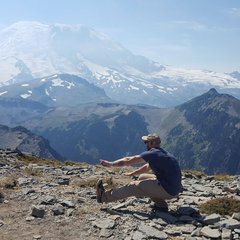 Since 2001, Kyle has worked as a physical therapist and rehabilitates athletes with various orthopedic issues. 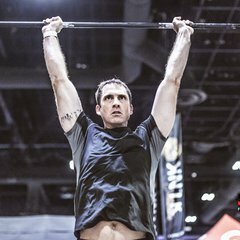 John is the co-owner of Infinite Loop and has been involved in CrossFit since 2011. He is passionate about Olympic Weightlifting and gymnastics. 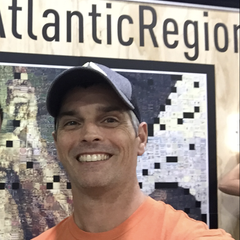 He’s always been an athlete, and after 25 years in healthcare, his passions for helping people and fitness combined into a CrossFit coaching career. “It’s that desire to continue to help people become better versions of themselves,” he says. 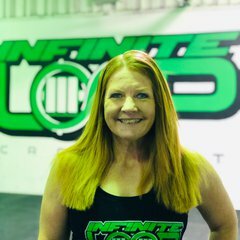 Jennifer is the co-owner of Infinite Loop CrossFit. She has a background in martial arts (Black Belt in Tang Soo Do), and was always active through high school and college. She danced on her college dance team at Stetson University and has enjoyed a love of snow skiing since she was a child. After having 3 kids, Jennifer started doing CrossFit in 2012 as a way to try to get her fitness routine back on track. She found a passion for CrossFit and the community within that has kept her engaged and motivated like no other fitness regimen previously. Even while working full time, Jennifer has found that CrossFit fits into her busy life and she's learned to balance family, fitness and fun. Antonio has been a part of CrossFit since 2011 and coaching since 2012. His passion and experience with fitness fit in perfectly once he began training and programming for competitive CrossFit athletes in 2014. He does CrossFit because it's a way to be competitive, but have fun and be challenged at the same time. Antonio loves to coach because it's rewarding to help people reach their goals and see cues click. In his spare time he enjoys coffee, photography, mountain biking and skateboarding. He loves to travel and be outside.